We’re kicking off another theme month: Movies with the word “Don’t” in the title. 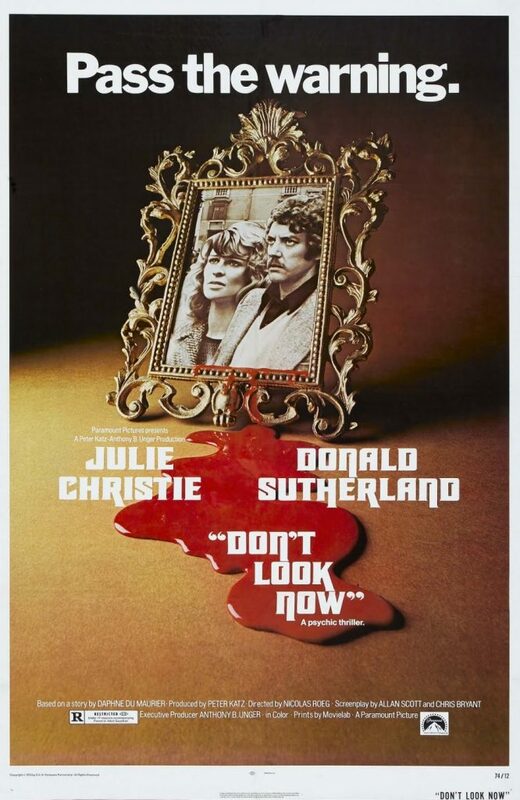 We start with this classy, classic, stylish supernatural thriller starring Donald Sutherland. It may not be the most action-packed film we’ve reviewed, but there is a lot to unpack as a couple grieving for the loss of their daughter encounter a psychic with a warning for them from beyond the grave. This entry was posted in and tagged don't, Horror, podcast. Bookmark the permalink.